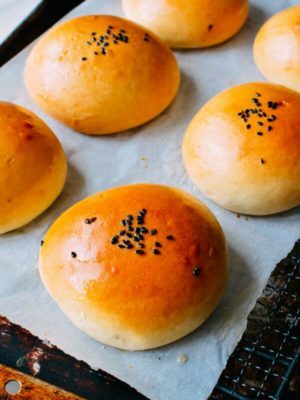 As food bloggers, we’re constantly looking for new ideas for recipes. One of our best methods of gaining inspiration? Going out and trying new things to eat! 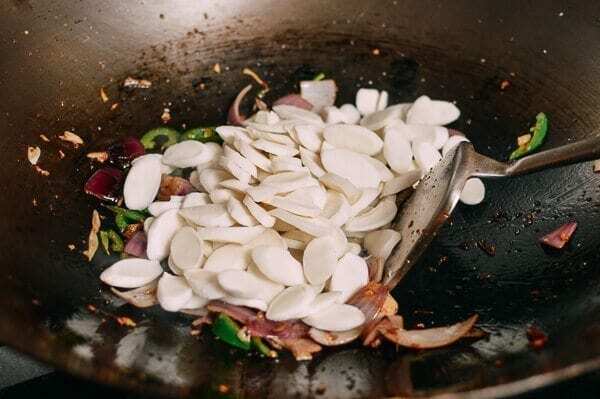 That’s how I got the idea for today’s recipe––Spicy Stir-fried Rice Cakes. Rice cakes are one of my favorite ingredients. 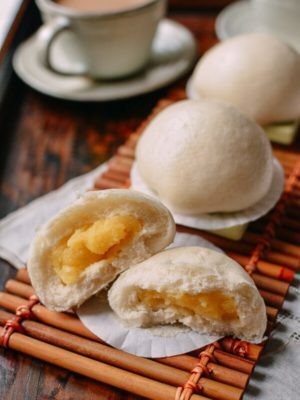 If you’ve never had them, they’re basically little starchy, chewy disks or ovals made from sticky rice. I like to describe them as a kind of Chinese gnocchi. 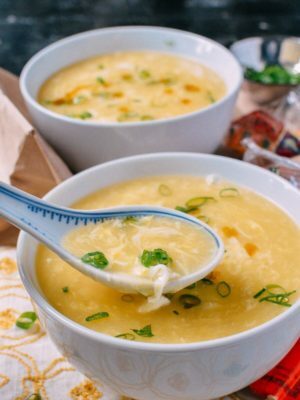 They can be added to soups, hot pot, and stir-fries, and I’ve always had them prepared in a select few ways. 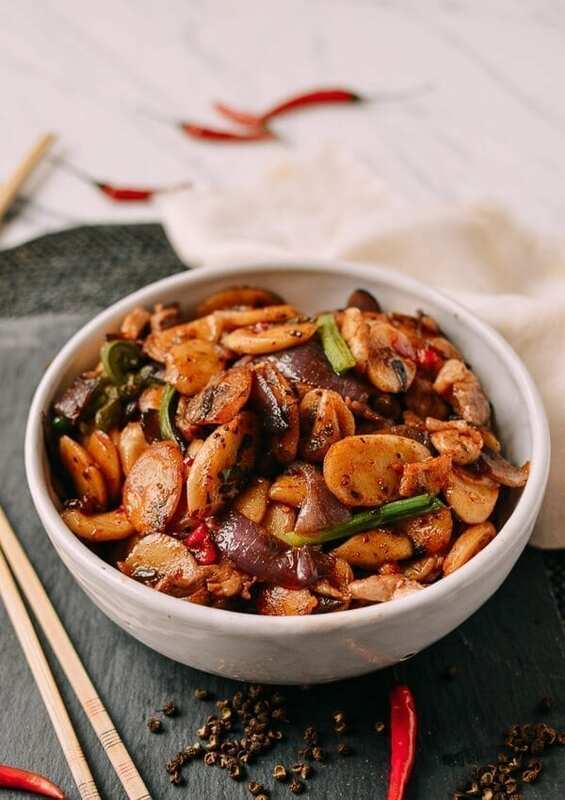 Growing up, we had sort of a “standard” rice cake stir-fry, usually made with pork, mushrooms, and vegetables. 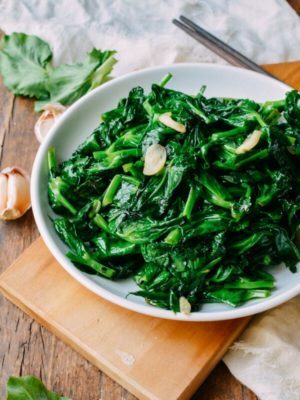 Sometimes, my mom or grandma would make a Shanghainese version with a leafy green called Shepherd’s purse (you can check out that rice cake recipe here). 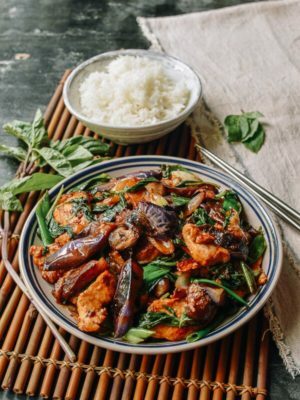 For the last 27 years, I have been more than happy with these rice cake dishes, and haven’t looked elsewhere for new ideas on how to prepare them. 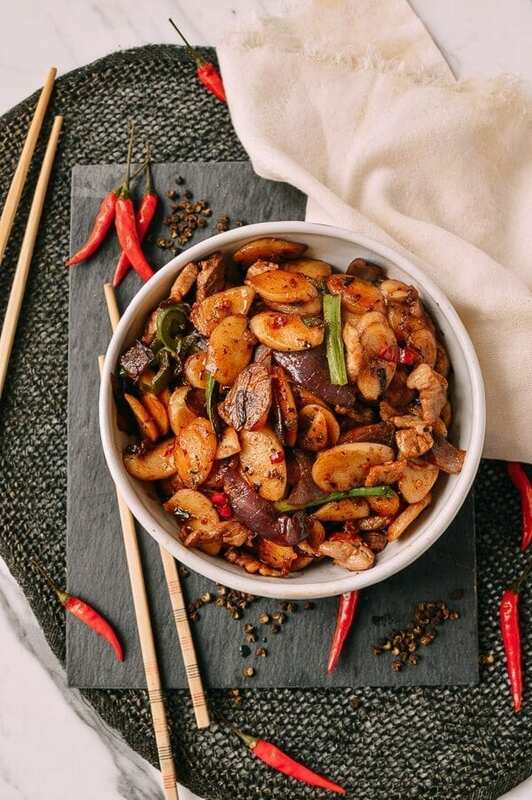 But recently, I was eating out at a restaurant when I noticed “spicy stir-fried rice cakes” on the menu, involving Sichuan peppercorns. Having stuck to the greatest hits for so long, it was time for something different. We ordered said spicy stir-fried rice cakes, and They. Were. Good. So I promptly pulled out my phone, apologized to my dining companions for being a weirdo, snapped a picture, took a few notes, and went home to test out my own version. This recipe is the result! Let’s get into how to prepare it. 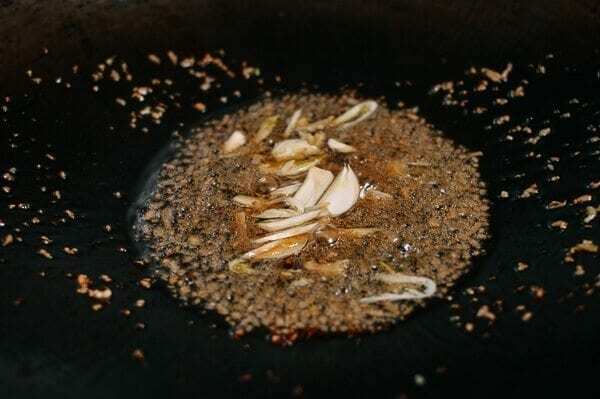 Heat 1 tablespoon oil in a wok over high heat. Add the pork belly and sear, not stirring. 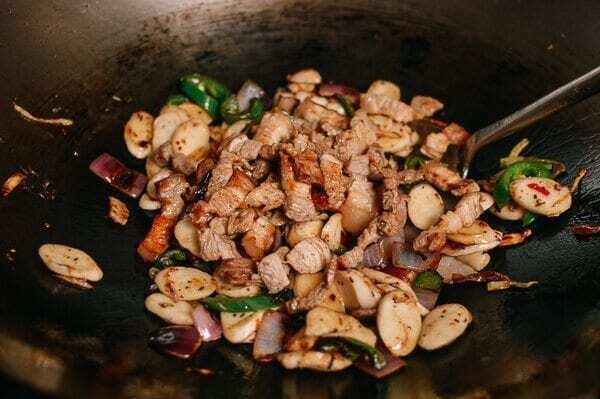 Once browned and caramelized on one side, stir-fry until the pork belly is opaque. Remove from the wok and set aside. 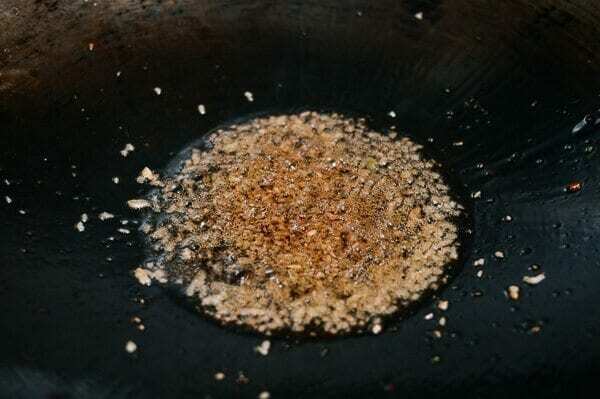 Lower the heat to medium, and add an additional 2 tablespoons of oil to the wok. Add the ginger. Let the ginger infuse the oil for 1 minute. Add the garlic, and cook for another 30 seconds. Turn the heat back up to high, and add the onions, jalapenos, red chilies, and the white parts of the scallions. Cook for another minute, and then add the rice cakes and Shaoxing wine. Mix well, scooping up from the bottom of the wok for 30 seconds. Turn the heat down to medium low, and cover for one minute. 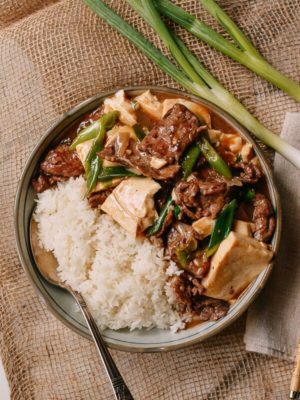 Remove cover, and add the pork belly back to the wok, along with the soy sauce, sugar, Sichuan peppercorn powder, and spicy bean paste. 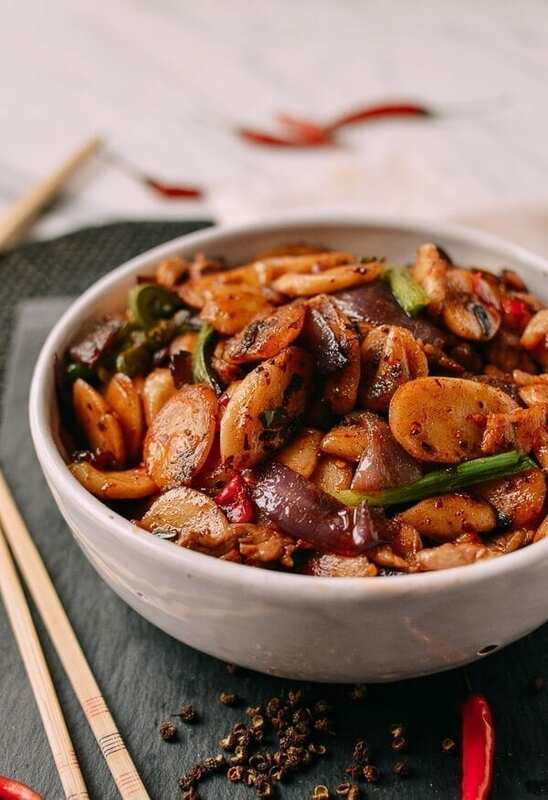 Stir-fry until the rice cakes are cooked through but still chewy. Stir in the green parts of the scallions until wilted, and serve. 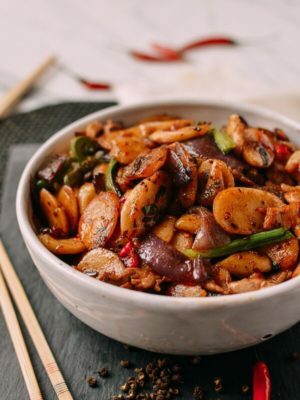 These spicy stir-fried rice cakes are a departure from some of China's more traditional methods of preparing these chewy, starchy little pasta-like rice cakes. 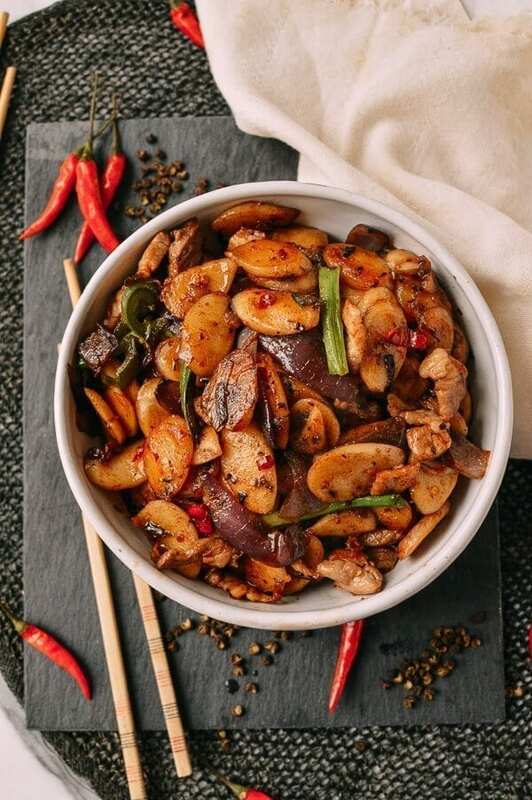 The addition of Sichuan peppercorns gives the dish that slight numbing flavor that goes perfectly with spicy chilies. 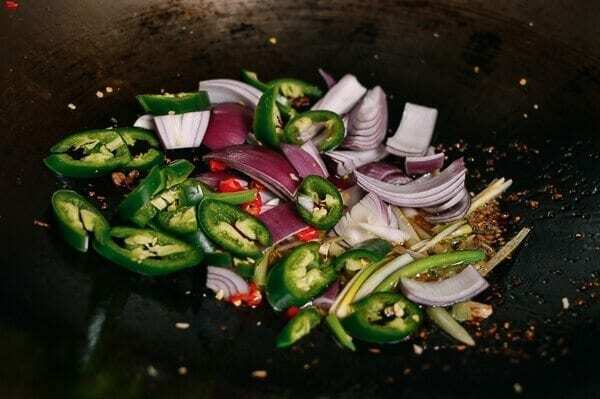 Lower the heat to medium, and add an additional 2 tablespoons of oil to the wok. Add the ginger. Let the ginger infuse the oil for 1 minute. Add the garlic, and cook for another 30 seconds. Turn the heat back up to high, and add the onions, jalapenos, red chilies, and the white parts of the scallions. 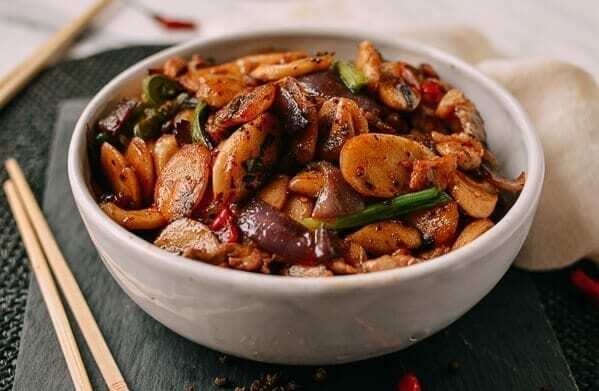 Cook for another minute, and then add the rice cakes and Shaoxing wine. Mix well, scooping up from the bottom of the wok for 30 seconds. Turn the heat down to medium low, and cover for one minute. 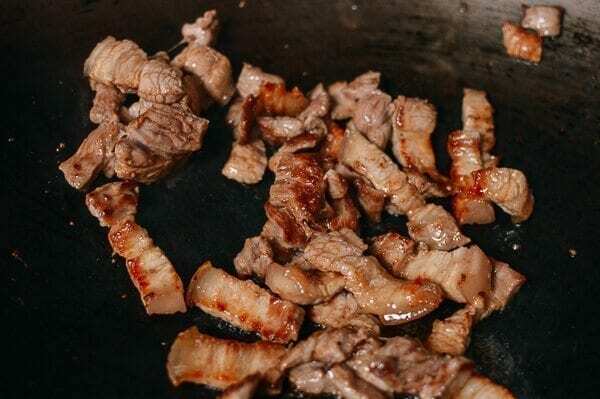 Remove cover, and add the pork belly back to the wok, along with the soy sauce, sugar, Sichuan peppercorn powder, and spicy bean paste. Stir-fry until the rice cakes are cooked through but still chewy. Stir in the green parts of the scallions until wilted, and serve. Hi, I tried making these tonight and the sauce was delicious. I stir-fried the rice cakes though for what seemed like a reasonable time and most were tough. Only a few were what I would call ‘delightlfully chewy’. Did I just not cook them long enough? Or something additional needs to be done for frozen rice cakes other than thawing? There were a few people who asked about the dried rice cakes (or “rock hard”) in packages and whether you can use them as is. I’ve always soaked them overnight in water and rinsed before using. 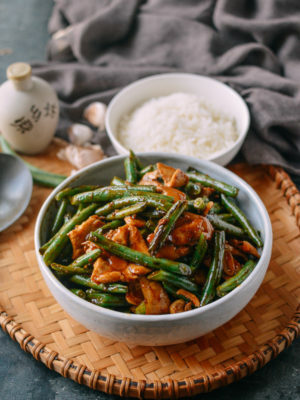 They turn out very soft and chewy when you prepare them in a stir fry recipe like this. Wouldn’t recommend using them without soaking first. Thanks for sharing, Sandra. We don’t often use the dried rice cakes at our house, so this information is great to know! Hey James, either of those will definitely work. 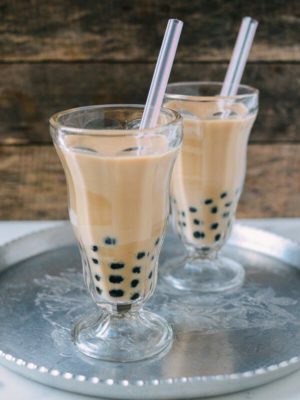 I personally like the thinner, flatter ones for this, though, since I think the log-like Korean ones are a bit too big and tend to be better in saucy applications. 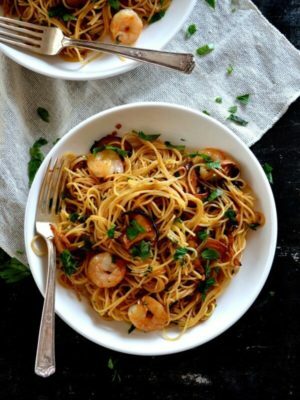 We LOVED this dish, it is now very high on our favourite dishes list. 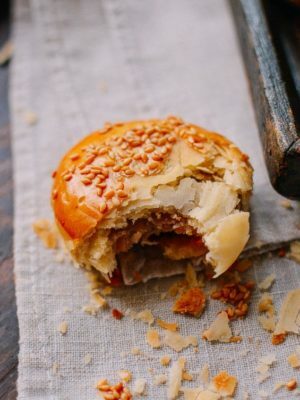 Being huge fans of rice cakes (we love the chewyness) and spicy food it was the perfect mix. It was also the first time that I ever saw a recipe with Sichuan pepper powder. I like the little tingle you get on your tongue when you bite into the peppercorns but my fiancé hates it. He actually picks the peppers from the dishes I make with them. 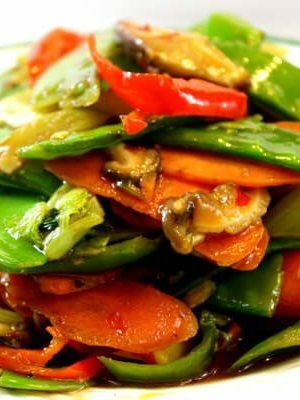 He was therefore extremely pleased with the dish as it had the Sichuan pepper flavour but not the corns themselves. We don’t have access to fresh Jalapenos- only the pickled ones you get on your Nachos so we didn’t use them at all and instead went with other fresh chilies (very spicy ones we grow ourselves) which was delicious, too. Duh- I don’t know what went wront here, I wanted to rate it 5 stars, of course! I have dried rice cakes in my store-cupboard. 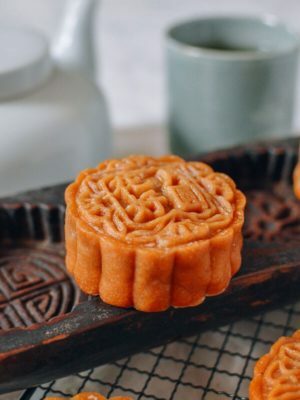 Would these be suitable, and if so, do you know how I should pre-prepare them before adding to the stir fry, or can I add them dried? Thanks in advance for your help – can’t wait to try this! Hi Anjali, I’ve actually never used dried rice cakes! I’ll have to look into it. I have used them as our chinese supermarket rarely has the fresh ones. Flavour-wise to me they taste exactly the same! Downside is of course that you need to soak them before, so you have to plan ahead a little. Love this so much!!! 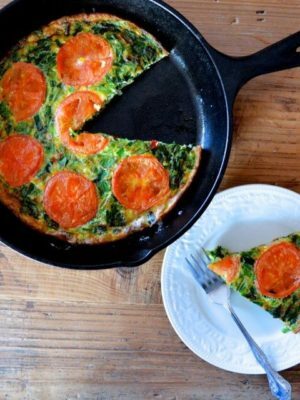 Very easy and delicious recipe! 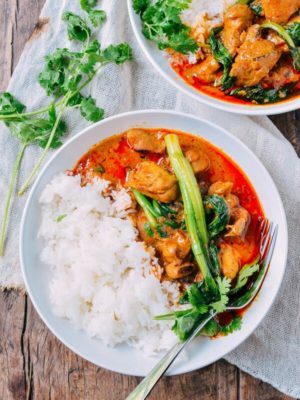 Such a great dish and unique taste (in the best way)! 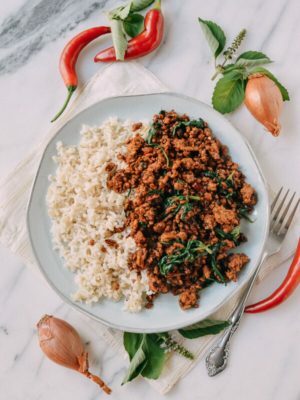 I’ve made a number of recipes from your site, and with the aid of your ingredients glossary, find it easy to grow my pantry for the few new things needed – this time it was the bean paste and Sichuan peppercorns…..but now I have them for Mapo tofu!